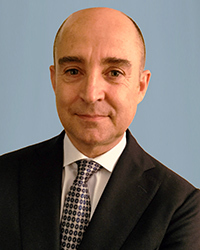 April 10, 2019 – Dayco has announced the appointment of Ruggero Semola as Aftermarket Director EMEA. In this role, Semola will be responsible for leading all functions of the EMEA Aftermarket region. These duties include strategic planning to oversee new product introductions, as well as sales performance, to ensure Dayco achieves its growth targets, while providing greater value for the customers. “I am delighted with my new role at Dayco and I look forward to creating additional value to the existing talented Dayco team and to supporting our EMEA aftermarket business growth” said Ruggero Semola, director of EMEA aftermarket. Ruggero brings more than 30 years of experience in the automotive aftermarket having worked at Bosch, Continental, Valeo and recently in Groupauto, a Multinational Company specialized in the distribution of IAM spare parts. Ruggero earned a bachelor’s degree in business sciences specializing in marketing at Bocconi University of Milan.